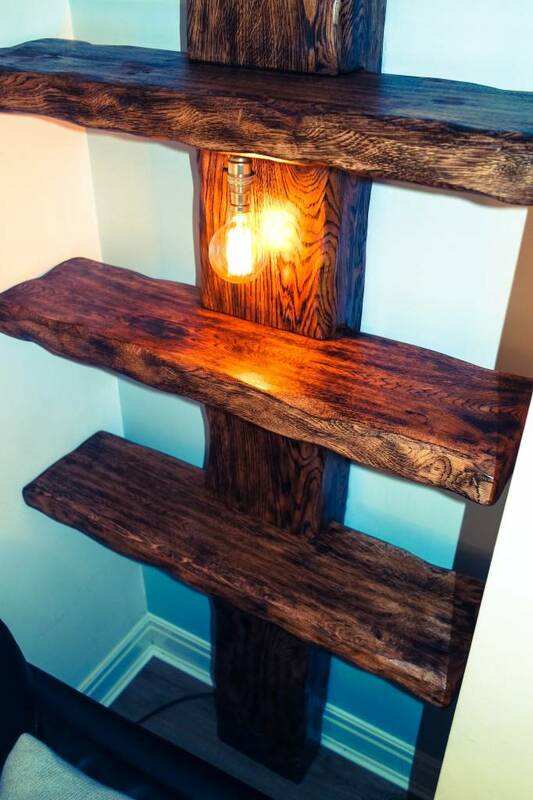 Oak Sleeper alcove shelves by TF Building and Renovations Skipton. 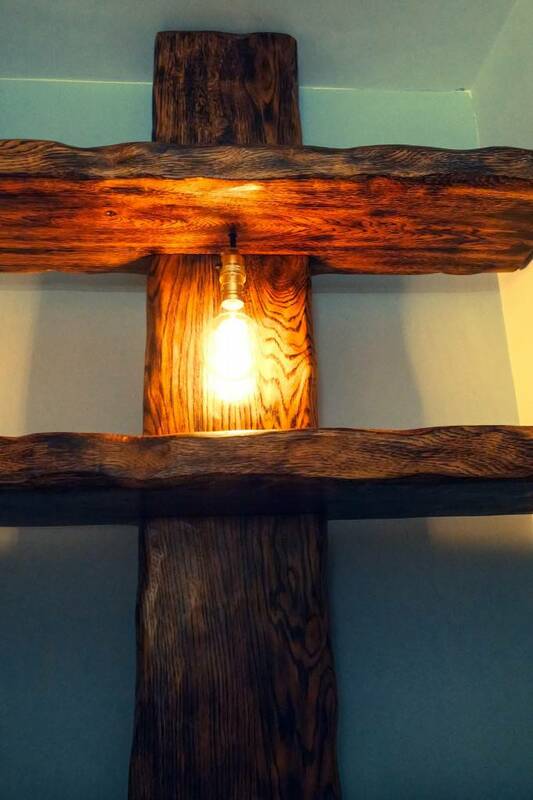 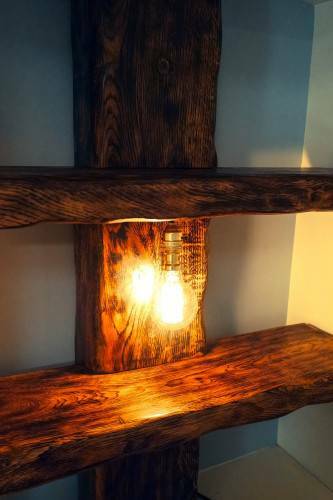 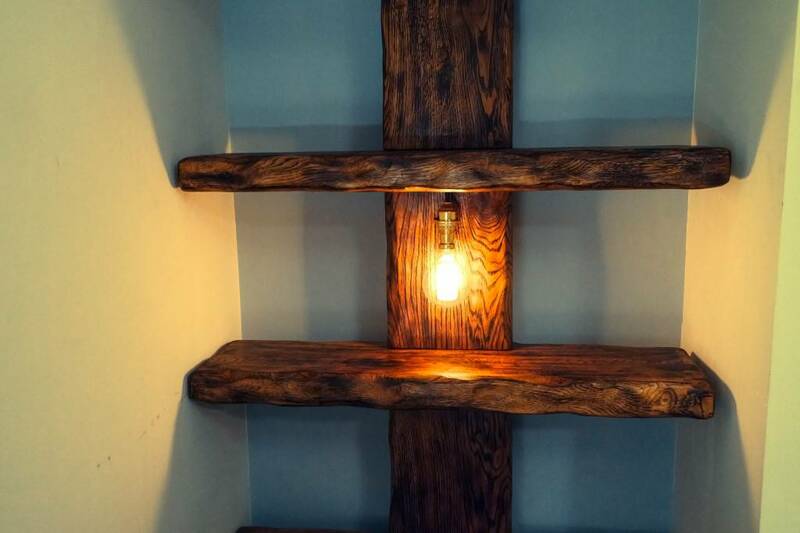 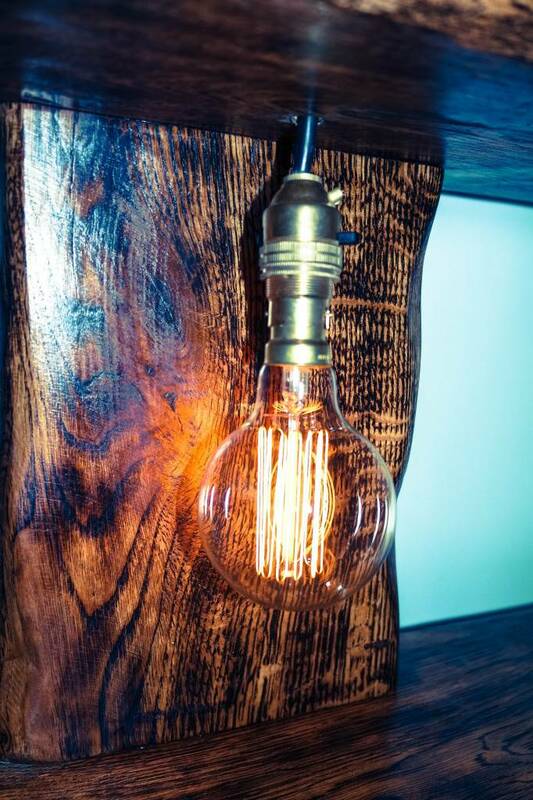 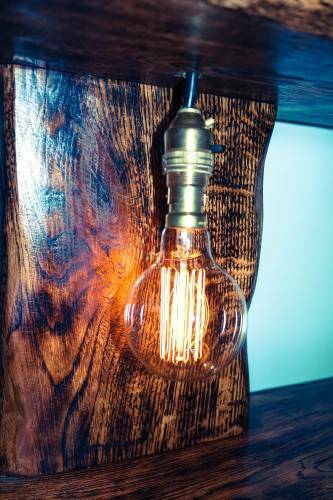 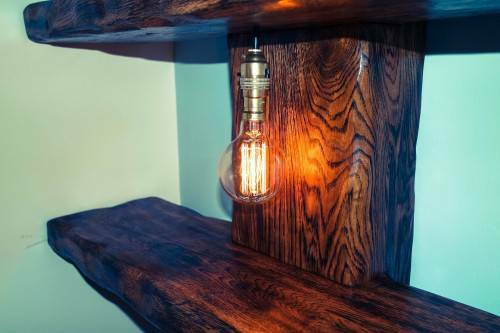 We enjoy being creative with our work and these Burnt oak alcove shelves are no exception. 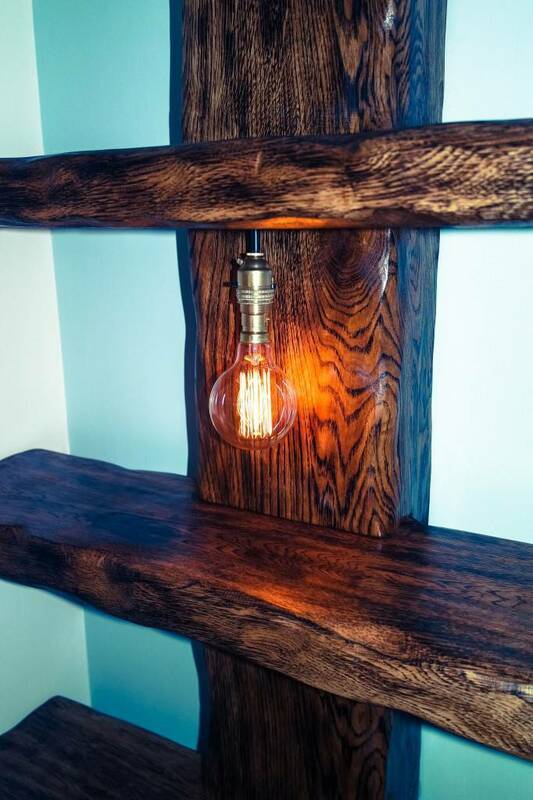 When asked for a ideas for a feature alcove shelving unit by our customer we showed examples of existing work had done with the oak and the deal was done. Both sides of the chimney breast were done one full size and one alcove shelve half size to fit on a cabinet. After sourcing the oak we set about the cutting list of the made to measure order. 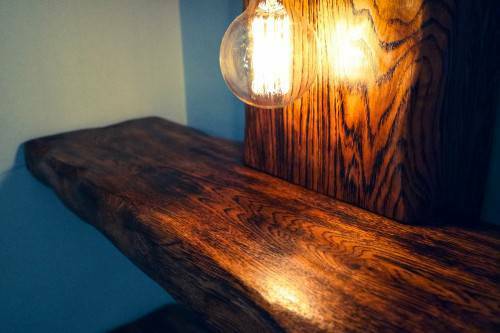 the oak was then burnt to bring out the grain with alight sand afterwards. 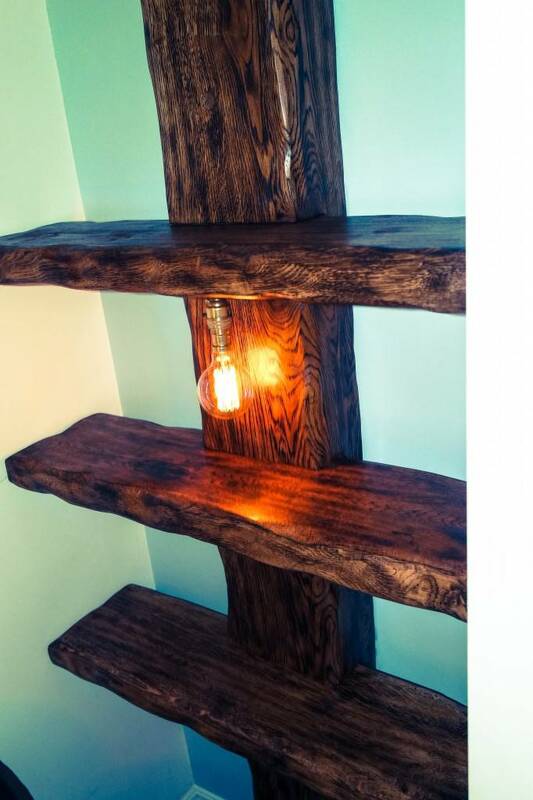 The idea the alcove shelves look like they are floating, we trench the upright sleeper out and slot the shelves in. Once secured oak doles are fit in the back for strength.